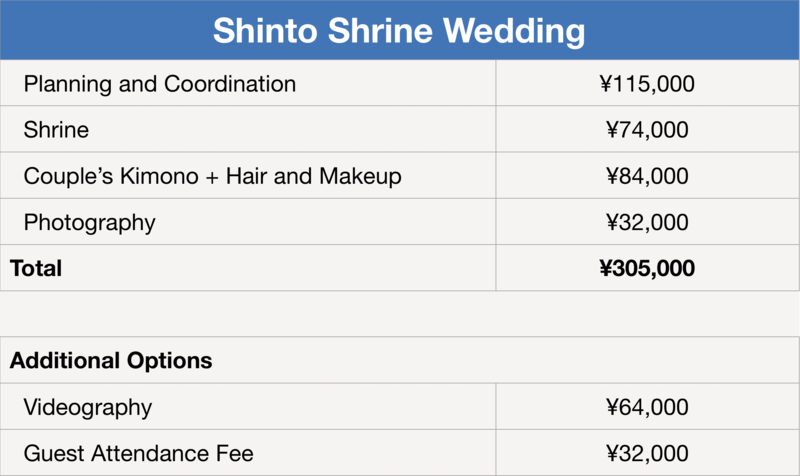 While each wedding, elopement and vow renewal is different, we can put together a list of prices based on what most people pay. 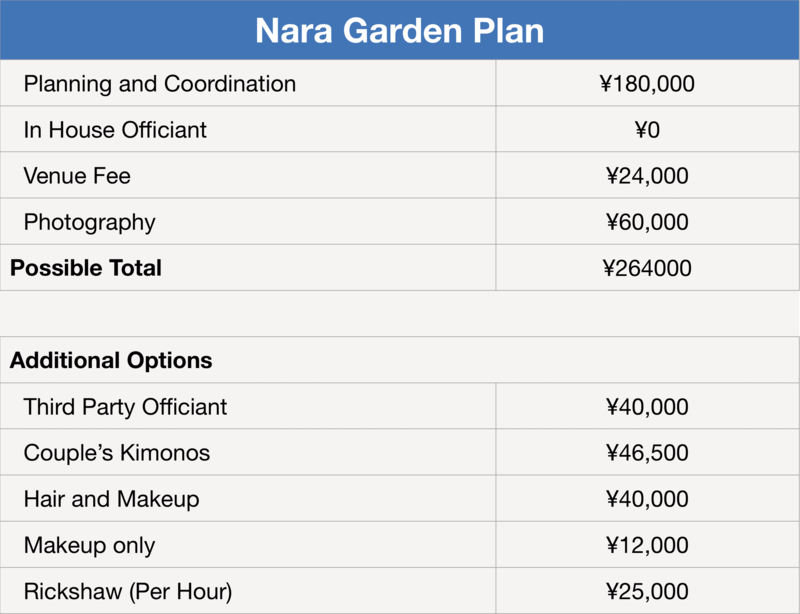 Please note, that this list is not exhaustive, and the prices themselves are subject to change. 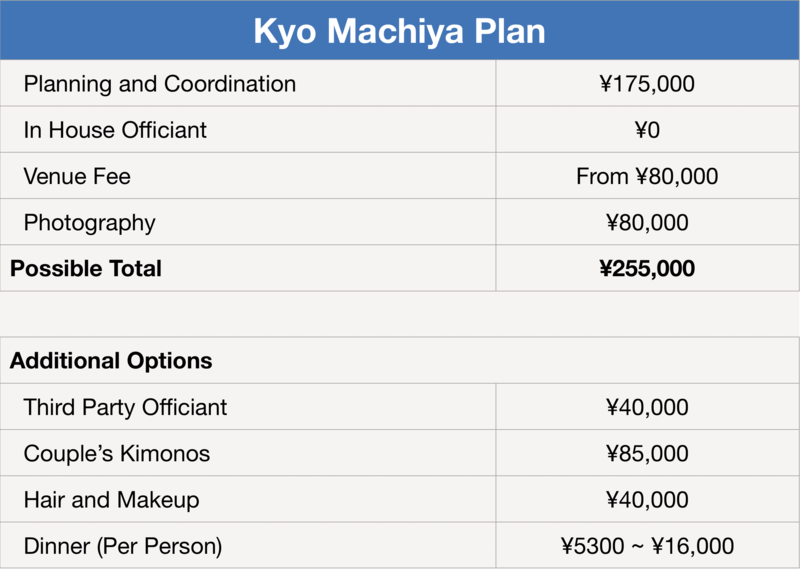 However, this should give you a good idea of what to budget and what to expect. 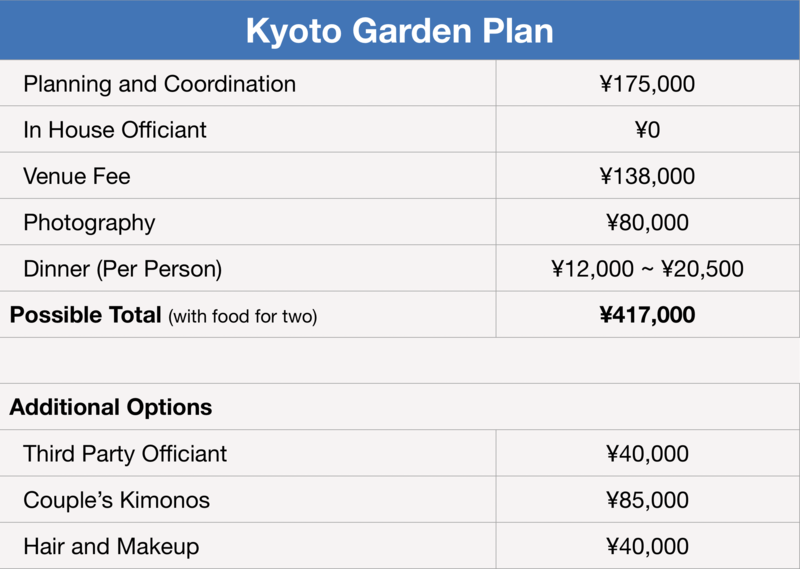 We hope we can remove some of the mystery regarding the cost of doing things in Japan. All prices include tax and PayPal transaction fees. 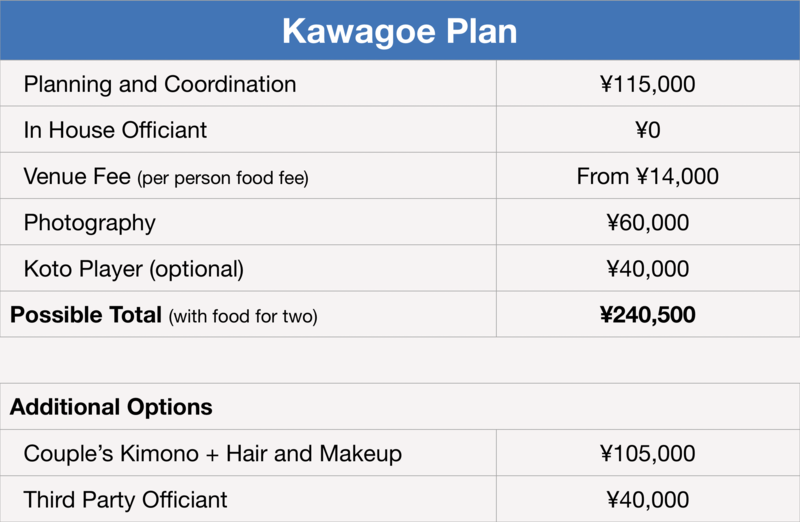 Please note, there is also a guest attendance fee of ¥10,000; maximum five guests. This is to cover any additional transport fees.